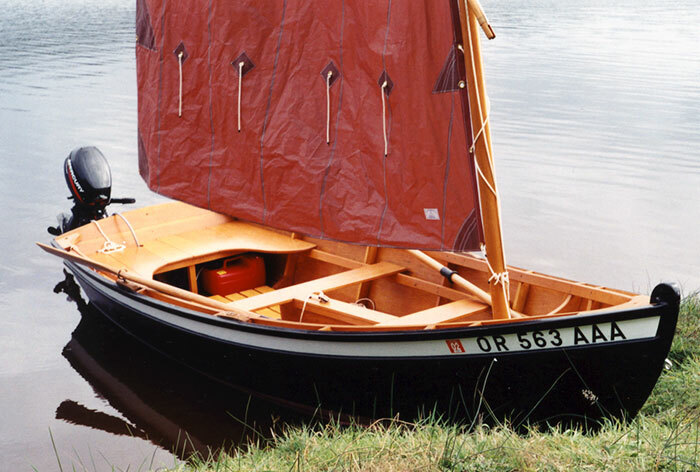 Roger McKay built this sprit-rigged, beach cruiser designed by Jordan Wood Boats of South Beach, Oregon. The Footloose design is 15'2" long with a 56" beam. 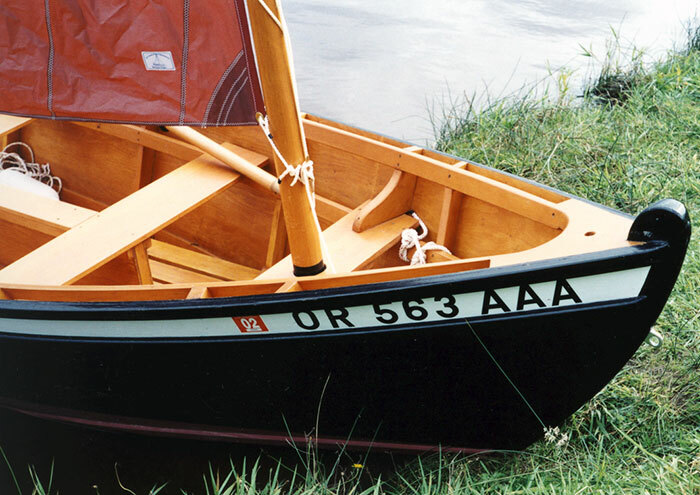 Roger writes that the boat sails and motors well. He uses THE ARC on the Columbia River and in the lakes and bays near his home. 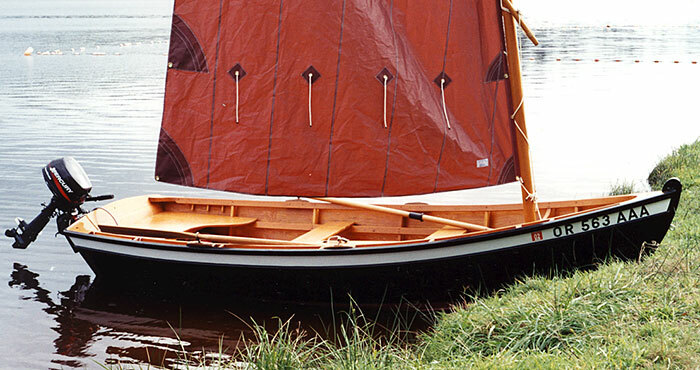 IT is plywood on frame construction, and Roger thought the construction process was fairly easy. You can reach Roger at 4265 Lief Erikson, Astoria, OR 97103.